For Mercedes-Benz Vans, the Sprinter is an icon, the core of the brand, driver of change and technological innovation. 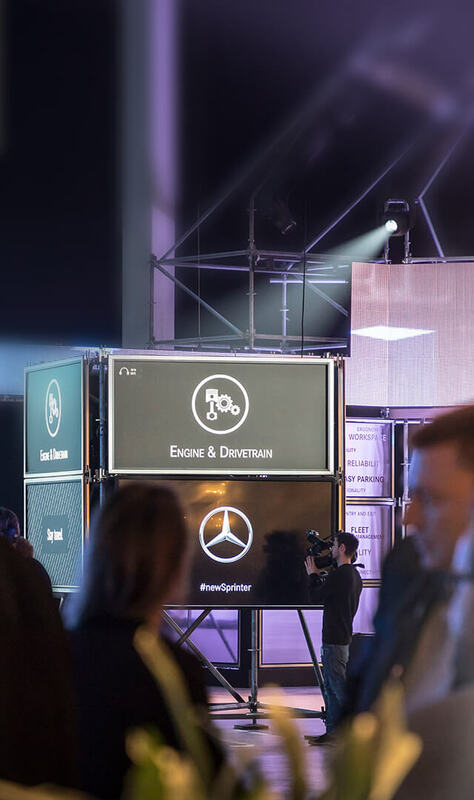 The presentation of the new Sprinter on Duisburg’s Mercator island, turned the next page in its success story and lifted it to the next level. The Sprinter is a star among vans, with a global reputation as a reliable, economical and extremely flexible partner. 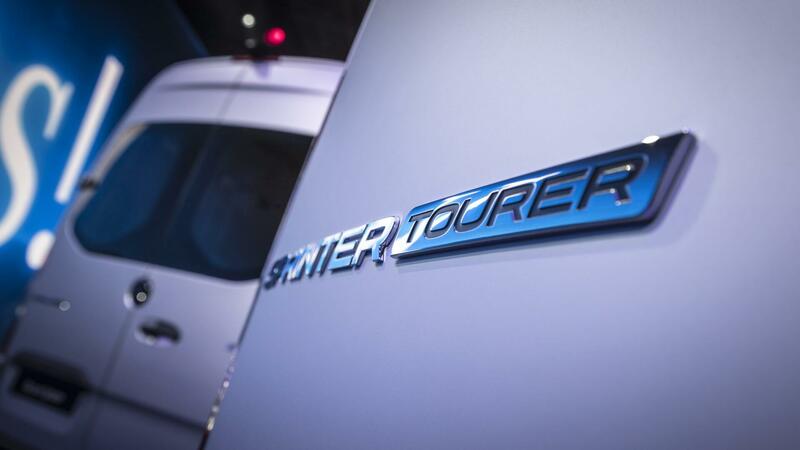 Since its premiere in 1995, Daimler has sold more than 3.4 million of this light commercial vehicle. It’s an impressive success story that took center stage at the world premiere in Duisburg, conceived and realized by OSK under the heading “next level since 1995” – from the beginnings to today’s new Sprinter. 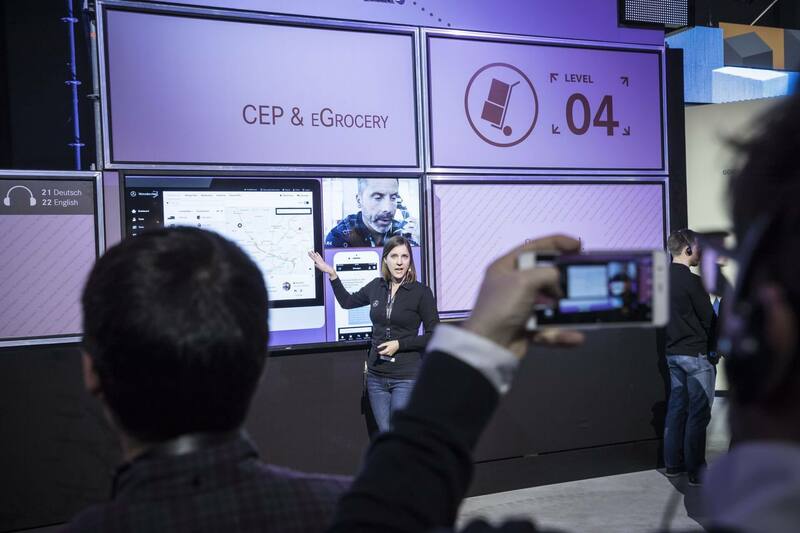 The storyline centered on the all-new model, which is the pioneer of a whole new breed of vans – a fully connected total-system solution. 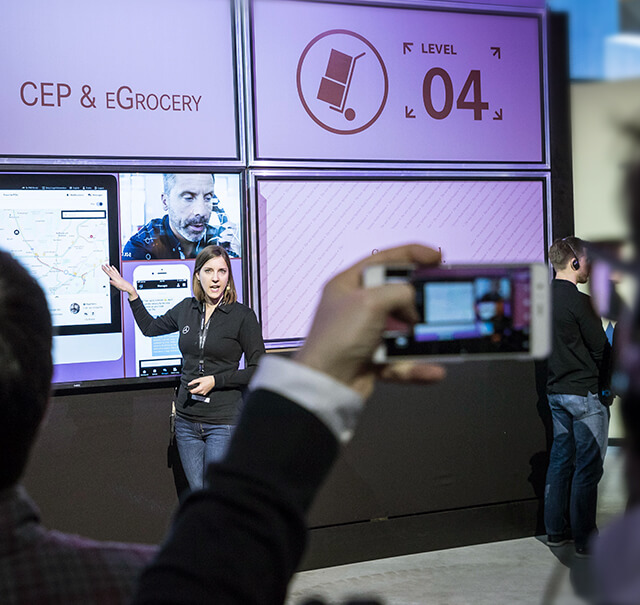 The Sprinter’s connectivity is also key to a large number of individual solutions for a diverse array of sectors and applications – from Crafts & Construction, to eGrocery to camper van. 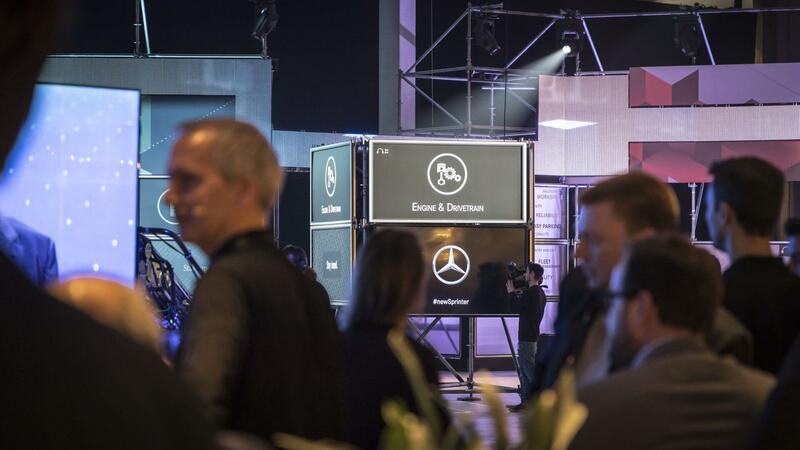 Experts from Mercedes-Benz Vans were available in six separate sector boxes, ready to talk to guests and provide concise information on the respective product highlights of different Sprinter variants. 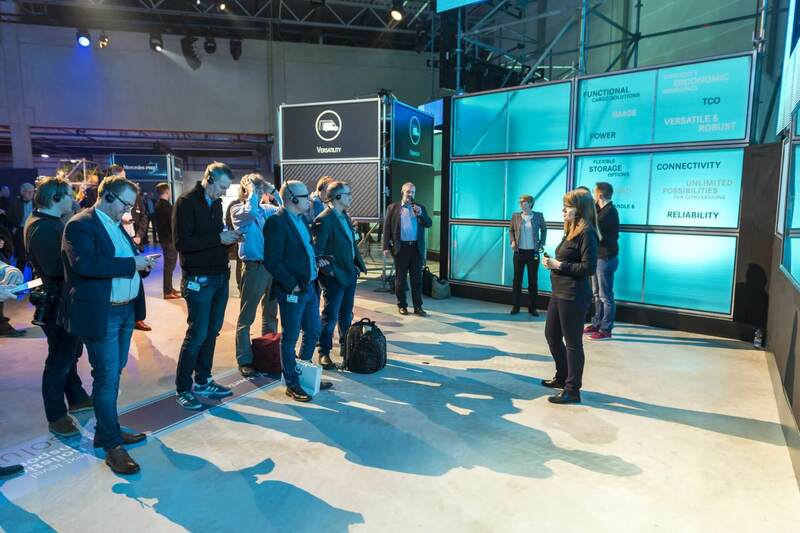 Discussions on the kinds of demands van customers will have in future were conducted in a convention style. Media representatives thus benefitted from a broad spectrum of information and inspiration for their reports. The highlight of the media event was the official Sprinter reveal. A digital visualization of the pack and stack principle from the Tetris computer game provided a contextually and visually coherent backdrop representing the Sprinter DNA. 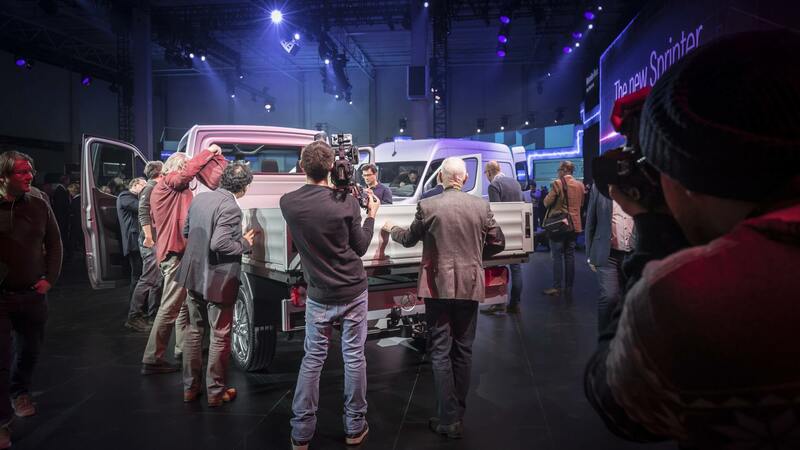 Following the entertaining historical roundup, the show ended with six new-generation Sprinters, all with different setups, rolling on-stage – and then continuing onward to their sector boxes, where experts from Mercedes-Benz Vans were already on-hand for in-depth discussions.